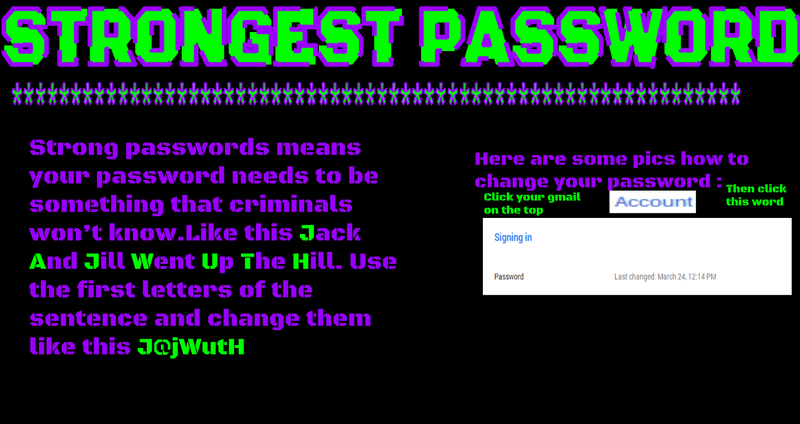 We are learning to create strong passwords and make sure our Google account is secure. 1.Create a password for your device and make sure no one sees. 2.Make sure it is a strong password and not an easy password.It shouldn't be your pets name and it hasn't got anything to do with your name. 3.Lastly it must be at lest 8 or more letters not like jack213, it should be like a quote or a favorite song. 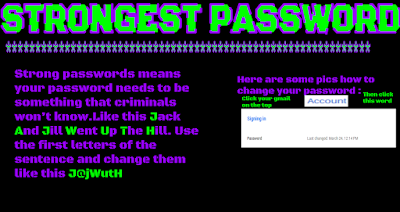 You make ready useful points about what is needed for a strong password. I like the way you included a screenshot in your information. I will use your points to make sure I make strong passwords. Talofa lava Mrs Krausse I am glad you found my post interesting. 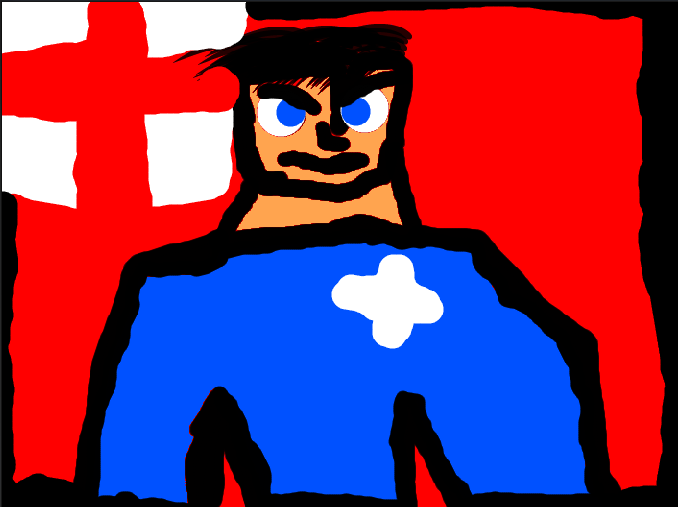 I put the picture there to show how I did it.